Finding the right gear can be a big challenge for an adrenaline junkie. Luckily, stores like US-based Columbia Sportswear promise to make things easier. From waterproof caps and visors to warm fleece jackets, therea��s plenty to explore here. 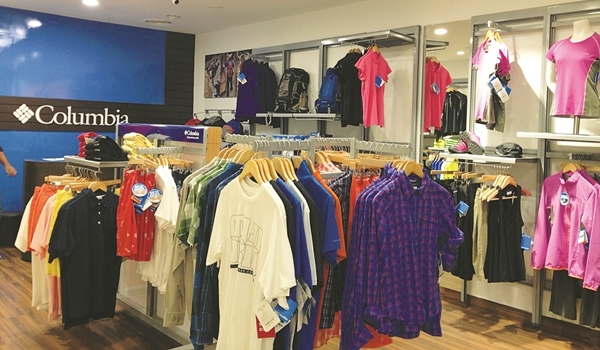 Khyati Bhinde, vice president of Chogori India Retail Ltd, the exclusive Indian distributor of Columbia Sportswear, says that theya��ve stocked the Chennai store according to the weather conditions here. So expect plenty of products that have Omni Freeze and Omni Shade technology that offer protection from the sun. The fast moving beige Silver Ridge pants have Omni-Wick technology that ensures the fabric does not stick to your skin when you sweat. There are shirts with UPF protection, too, ranging between 20 and 50. The ones with Omni Freeze Zero have little rings on the inside of the fabric that contain a gel that lowers the shirta��s temperature.A� a�?When a new line is launched in the US, it is almost simultaneously released in India,a�? Bhinde says. For instance, the Outdry (waterproof) jackets and backpacks that will be a Spring 2016 release in the US, will be immediately available here in February 2016. Other than apparel, the store also has backpacks and shoes. a�?The whole idea is to get people to appreciate the outdoors. They should unwind,a�? Bhinde says. Very much in tandem with this idea, in two weeks the brand will hold an Everest Rising Contest, where, by answering a few simple questions online, you could win a fully-paid trip (with Columbia gear) for an Everest Base Camp trek.